These smart upgrades to make when buying a new manufactured home will get you the best home for the best price. We’ll help you understand where to spend your money so that you get quality home at a fair price. These upgrades offer the most benefits with the best return on investment. In the manufactured housing world, you absolutely get what you pay for. Manufactured home buyers should understand the different levels of quality available from most builders. There are 3 levels of manufactured home models: the most affordable, low-end models, the mid-range models, and the high-end or luxury models. The mid-range models are the most popular and will have better everything: larger wall studs, better insulation values, higher grade flooring, exterior house wrap, drywall or wallboard nailed to the studs, higher roof pitches, etc. 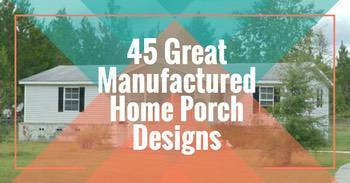 High-end manufactured homes are top of the line. Construction is equal to or better than a site-built home. Materials are top grade. Simply put, everything is high quality. In the manufactured housing world, you absolutely get what you pay for but that’s the brilliance of manufactured housing. We can get exactly what we need in a home. Go with a model that offers the features and specs you want most as standard options and then add smart upgrades for your new manufactured home build. Most experts will advise new manufactured home buyers to spend money on construction upgrades before cosmetic updates. You can’t go wrong with increased energy efficiency, better protection from the weather, and better construction specs. 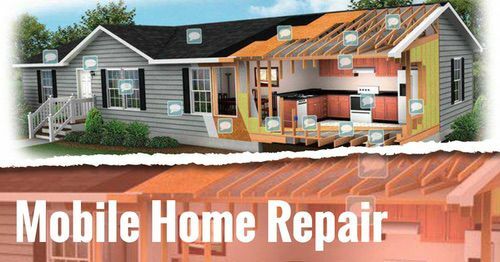 A better-built home will usually have a better resale value in the future. Upgrading exterior doors is a relatively low-cost upgrade that adds lots of value to a home, including new manufactured homes. In fact, Remodeling Magazine has stated that upgrading a home’s exterior door has the highest return on investment of any home improvement upgrade. Low-end manufactured homes will usually have aluminum doors that are 32″ wide and between 74″ and 78″. Mid-range model steel doors are usually 36″ x 80″. Upgrading your front exterior door to a 36″ x 80″ 6-panel steel door with an insulated core, peephole, and deadbolt is a smart upgrade for your new manufactured home. The back door, which is usually the cheap gun slot or nine window style, is still the norm for both mid-range and top end homes. Upgrading to a 36″ x 80″ steel door with dual glazed windows and deadbolts is not a bad idea. The cheap 26″ x 74″ hollow core interior doors are standard on most manufactured homes, from low-end to luxury models. 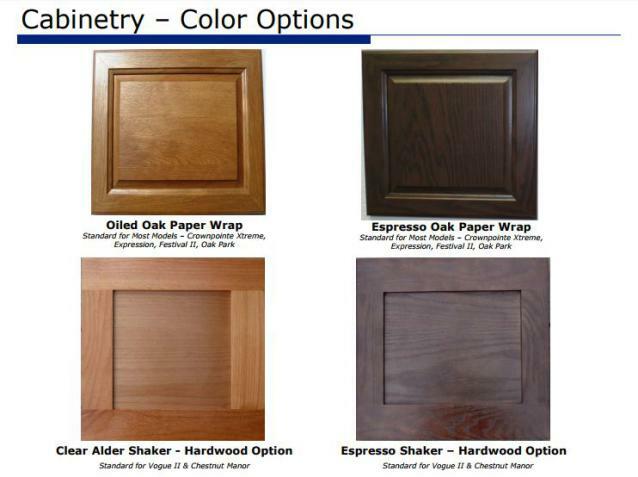 Upgrade to the 30″ x 80″ wood framed or paneled hollow-core interior doors. This will make a huge difference and help make the home look more like it was site-built. The solid wood 6-panel interior doors are especially beautiful but they can get pricey – remember you are replacing every door in the home. Mortised door hinges are better than surface-mounted. Better windows are extremely smart upgrades for your new manufactured home. Most new mid-range manufactured homes have an energy-saving thermal pane window, probably aluminum framed with a single pane for the low-end models. Windows impact your energy costs and both the interior and the exterior aesthetics of a home so it’s a smart investment to upgrade to the best windows you can afford. 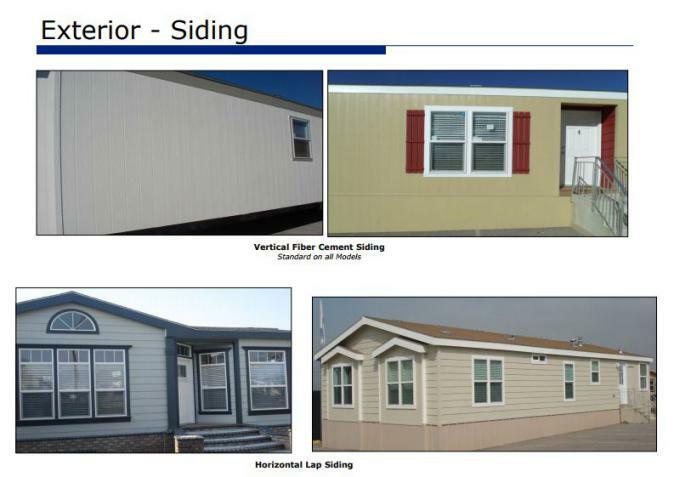 Walls are a hot topic in the manufactured housing world. For decades, many factory-built homes had faux wood paneling or VOG wallboard. VOG stands for vinyl on gypsum and is a form of cardboard wrapped in vinyl. 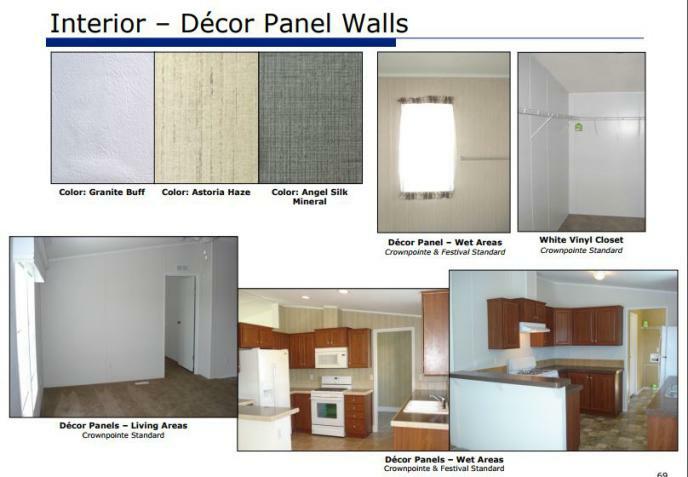 Due to the transportation needs of a manufactured home, it was difficult to use sheetrock because it required extensive finishing work after installation. Fortunately, customer demands are changing the industry and nowadays we can have sheetrock in our homes. Drywall is now usually standard in some rooms on higher end single wide and double wide homes, now. Steve Lancaster, our fav mobile home expert, states that the sheetrock used in manufactured homes are much thinner than the sheetrock used in stick built homes. This is done to make it lighter but it cracks more when being transported to the lot or when settling later. He often prefers to get the vinyl coated wallboards and paint them, leaving the “strips” on. 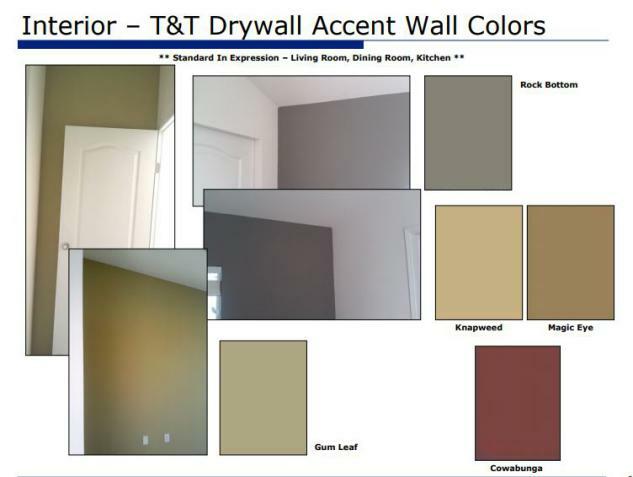 Learn how to paint vinyl coated mobile home walls here. If you prefer sheetrock, it’s definitely an upgrade that needs to be done at the time of construction in the factory. If I had to choose just one upgrade for my new manufactured home it would probably be the insulation (which would require thicker studs so I’d be cheating a bit, I guess). There are three important areas of insulation in a manufactured home: roof, sidewall, and flooring. Flooring and roofing insulation will have a higher R-value than your sidewalls. Low-end model homes will have sidewall insulation with an R-value of 11, maybe 13, standard. Upgrade to the highest you can afford (22+). Better insulation is especially smart upgrades for your new manufactured home if you live in an area with extreme temperatures (really cold or really hot).Learn about Upgrades that Will Reduce Mobile Home Heating Costs here. These vinyl siding upgrades are from the 2015 Fleetwood Options Catalog. Steve gave us lots of great information about buying a new manufactured home. He listed10 smart upgrades to make when shopping for a new manufactured home. Steve continues, “One thing I have noticed is that in my area, vinyl sided homes usually have nothing behind the vinyl except white foam insulation, Upgrading to OSB under the vinyl is sometimes an option in low-end homes, and is usually included when the wind zone increases to 2 or 3. 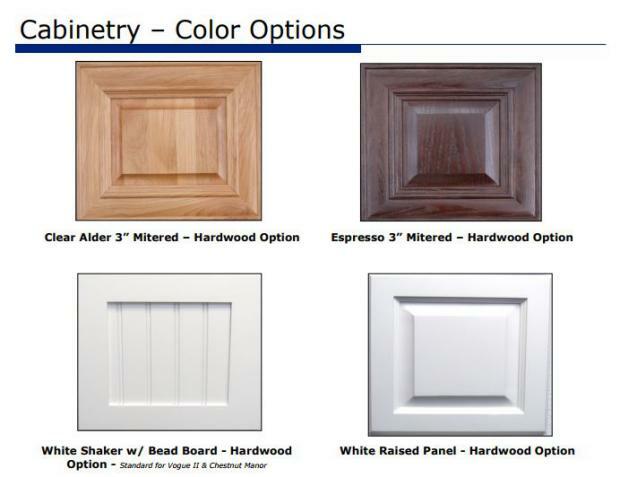 The cabinet options available in the 2015 Fleetwood Catalog. Cabinets have a huge impact on a home. You may never realize just how much you use cabinets until one gets broken so they are certainly smart upgrades for your new manufactured home. Generally, low and mid-range homes have smaller MDF cabinetry with either a ‘real wood’ paper veneer glued to it or it will be wrapped in vinyl. n many cases, these cabinets don’t even have their own bottom shelf, you only see the room’s vinyl flooring when you open the door. Cheap knobs and exposed hinges are also common with cheaper cabinets. Cabinetry made from solid wood is not cheap or lightweight so it is an expensive upgrade for your new manufactured home but it can be a great investment. Upgrading to real wood cabinets in industry standard sizes (36″ for floor and 31″ for upper) can greatly increase the home’s resell potential. 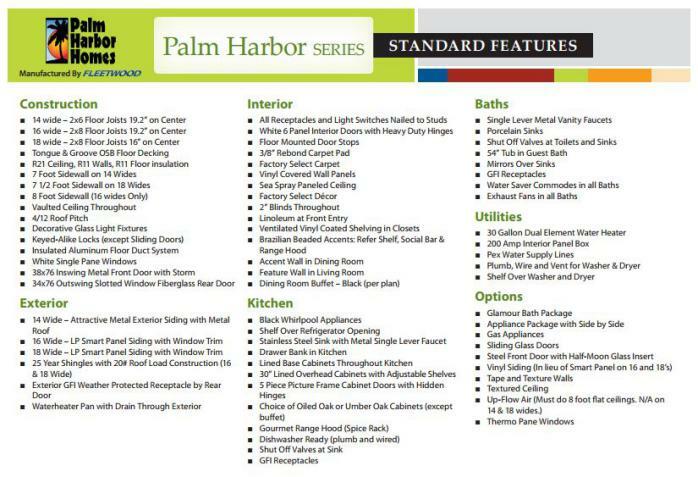 The cabinet options available in Fleetwood manufactured homes in 2015. Sub-flooring, or decking, is a common complaint among manufactured homeowners. The low and mid-range homes will usually use 5/8″ particle board for the home’s sub-floor. Particle board does not hold up to water at all. Even a small leak can swell the floor up and require a full replacement. More smart upgrades for your new manufactured home is upgrading the decking to at least 5/8″ plywood or to the newer materials called Novadeck or Cresdeck. In addition to particle board decking, low-quality carpet is used in all three quality levels of manufactured home models. Carpet quality is measured by weight per square foot. Low-quality carpet will be around 15 ounces or less. Ideally, you will want at least 19 ounces. If you want durable and comfortable you will need to upgrade to a higher quality carpet than what most builders offer standard. 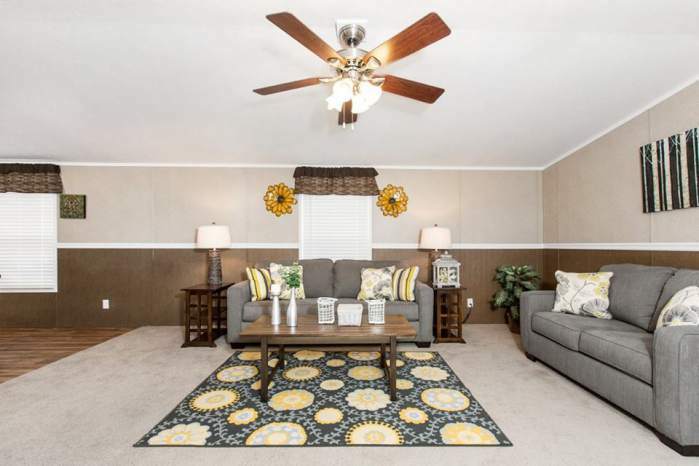 Is Installing Vinyl Tile in Manufactured Homes Smart? This 2017 Norris CEO is a luxury model home with gorgeous features but for some reason, it has a doorless closet in the master bedroom. 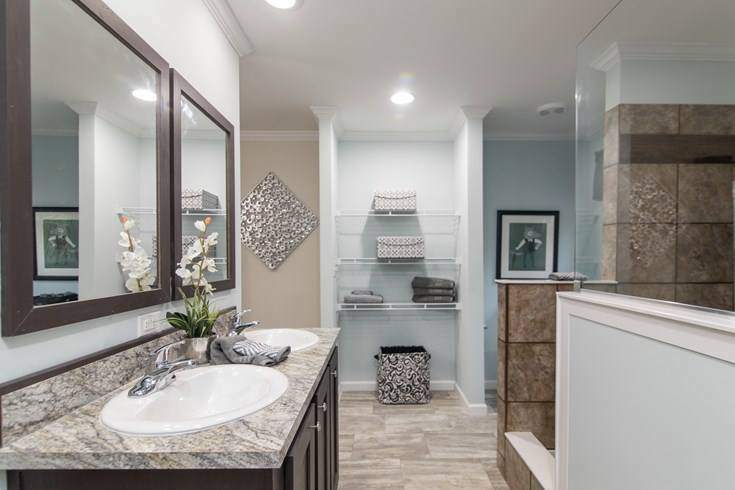 Another area you need to consider upgrading is the quality of the sinks, showers, and tubs in your new manufactured home. Read More: See the entire 2015 Fleetwood Homes Options Book here. Giving your home extra durability and stability, by adding another layer to its structure is a smart move. You want sheathe between your insulation and siding. No vinyl siding screwed directly into the home’s studs. Ever. The belly wrap is pretty important since it protects you from so much. If the option is available, insist on thicker material. 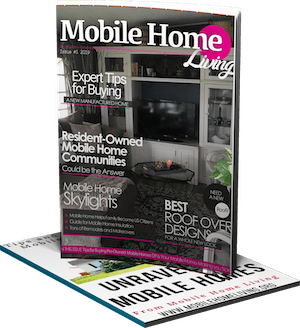 This is by no means a complete list of smart upgrades to make when buying a new manufactured home or exactly what to look for when purchasing a new home but it should help a bit. Focus your upgrades on construction more than aesthetics. Did you order a manufactured home with upgrades? Tell us about your experience below! 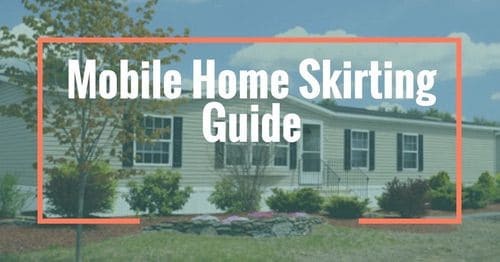 We couldn’t have created this article without help from Steve Lancaster, our favorite mobile home expert. 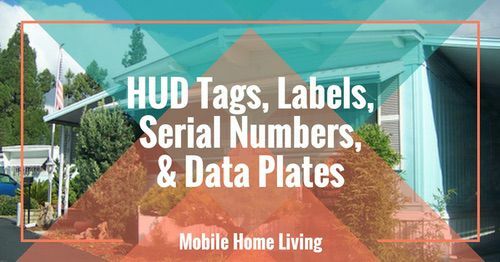 He founded the popular Facebook group, Manufactured Housing and Mobile Homes, and posts helpful ideas and examples of great homes on a near-daily basis. 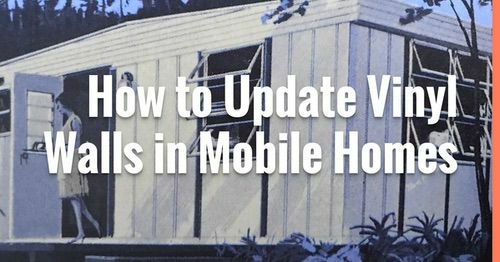 His passion and knowledge of mobile and manufactured homes are impressive and we are very thankful to have him help us list these 10 smart upgrades for new manufactured homes. Very informative article. I’m trying to make a decision about my future home, site built or manufactured???? VERY difficult to choose. I’ve visited many retailers in my area and have seen some beautiful homes but no decision yet. I LOVE manufactured homes but sometimes a site-built home is the best choice. 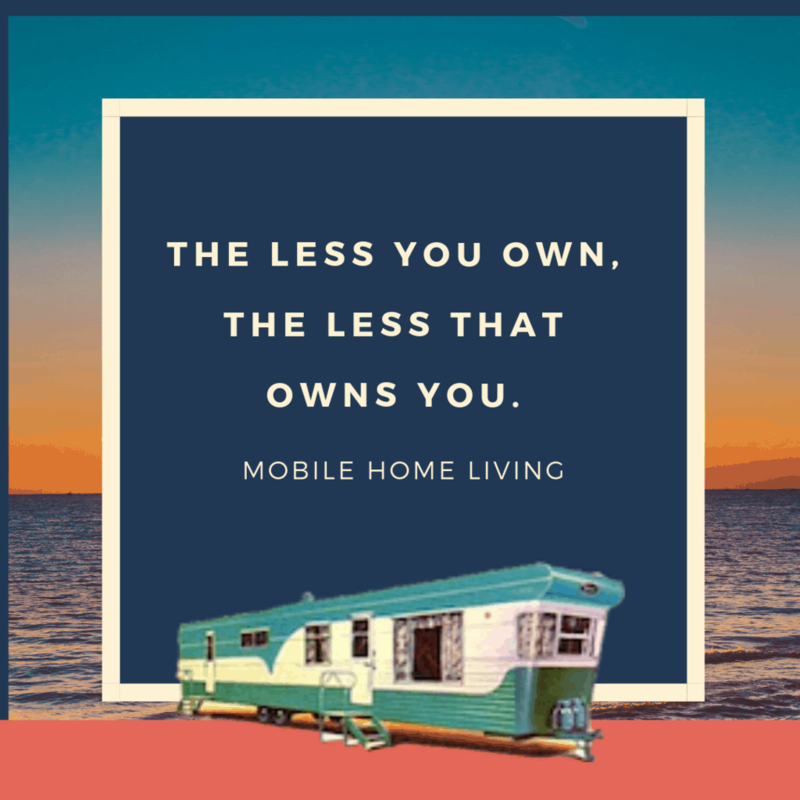 Ideally, I think the best deal is to buy an older pre-owned manufactured home and have it placed on your own private land and remodel it exactly how you want it. In Myrtle Beach, it makes no sense at all to buy a double wide and the best single wides are in 55+ parks. You can buy a 2400 sq ft two-story home on about half an acre for $20k more than an older double wide on the same size lot. I have no idea why. Your heart will tell you when you find the right home. Best of luck! In all reality, you should be fine as long as the tile isn’t mega thick and crazy heavy (I don’t like tile over marriage lines though). If you still have your owner’s manual there should be a section in it talking about weight per inch or weight load per foot. You can take the weight of the tile and match that using the formula for your home’s weight load. Nice article with reminders of everything to consider on a good to-do list! There is one thing that still puzzles me, though: The cost/benefit ratio of low-e glass windows – Letting infra-red radiation in during the day vs letting heat out at night. I haven’t figured out how to compute the trade-off, and for all I’ve been able to tell, there shouldn’t be a single window in the whole house! That’s way over my head but you got me interested so I did a Google search and found this article from Oberlin College called Windows, Light, and Heat Gain. They have the formulas laid out well. This PDF from Energy.gov is pretty thorough too. This email has been very interesting as I’m in the process of a fixer upper an ’85 Skyline. Had all the carpet removed and replaced with vinyl plank well worth it. The walls had vinyl wall someone tried to remove I’ve replaced with quarter inch plywood. Just trying to get it liveable. It sounds like you are doing a good job at making it liveable. I love the idea of putting plywood on walls! I’d love to see a photo when you get finished! Great Ideas! I’m looking to install a barn door at my master bedroom entrance. There is no support in the closet to the door opening to allow me to properly install the hardware. Any ideas?!? !